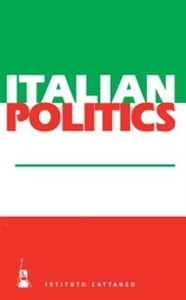 Since 1986, Italian Politics has described and analyzed the main political and social events of the previous year. It combines systematic archival work with analysis of changes in both public sector policies and political institutions. Each volume includes a listing of the main political events of the year as well as information on the most recent elections, party politics, and public policies. The Istituto Cattaneo, founded in 1965, is a private, non-profit organization. It aims to promote, finance, and conduct research, studies, and other activi­ties that contribute to the knowledge of contemporary Italian society and, especially, of the Italian political system. Visit the Istituto Cattaneo Web site at www.cattaneo.org.